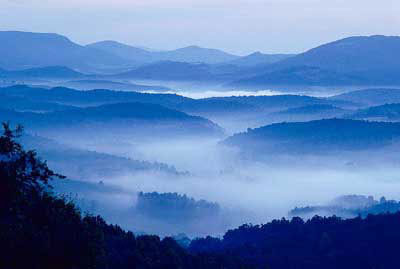 Tomorrow morning I'm flying down to visit my hometown in the mountains of North Carolina. (Sorry I missed you, Lili!) So I may not be able to post as regularly as I'd like. (My mom likes to hog the computer.) But I'll keep in touch any way that I can. Maybe I'll even take a few pictures. Some CRAZY stuff goes on down there . . . Here's a little something to think about while I'm gone. Ha ha, it's ok! Somehow, my mom and I both knew that was going to happen. (Womens intuition?) Have fun! And that is unbelievably cuuute! That nom nom nom song is going to be stuck in my head forever now. ACK!! SOMETHING GROSS IS AHEAD!!! OoO [Cute video~ X3] Hope you have a nice trip!!! *groans* the overpowering cuteness nearly made me vomit. Please find something gross to cure me of this horrible ailment! Nomnomnomnomnomnom. Hahahah that was the best. ALSO, on the subject of women's intuition, has anyone ever just had a random thought or dream that they remember actually happening? I have. No way! One of us is going to NC tomorrow! If your in the greensboro area tell us!!! yes alot! i like guess something and it happens. or one time i woke up witha shiver and told myself the day was going to be horrible-it was infact the worst day of mi life. what about you? DANGEROUS: YES! I have those dreams ALL THE TIME! Those animals are SO CUTE! Especially the cat eating the banana! My cat eats corn! Also, the people filming have excellent camera skills. The bunny at the end is filmed in the perfect position, it makes the bunny look super-cute! BTW: Has anybody watched that new movie called 'Knowing' starring Nicolas Cage? It is so good!!!! Ananka, I really think you should watch it! Ananka: Yay pictures! Please show us some pictures! Dangerous, tainted new, & irregular kiki: YES!!! I get all the time!!! Sometimes I know what someone will say next, or I will remember an entire day before it happened.... I get that a lot. And sometimes on multiple choice tests, I can think of the # of the question and I think of the answer... it works too.... lot's of stuff like that. Now, on the explanination of women's intution, it's made clear that everyone has 5 senses. (most people).However, people actually have 6. The sixth is either the ability to determine future or past events, or somethign else. For instinace, I have experienced several times that I could stop objects from moving without touching them. It is proven that the 6th sense works best if you aren't trying, and you must train apon it. I have been training for several years (this might explain why my grades are poop) and my friend wants to take it into study. At one point, I had to dance around a room for ten minutes, telling her if the penny would land heads or tails. Then I had to try stopping the objects. That was a doozy. I ended up reading a book, listening to music, watching s movie, and eating a burrito all at the same time wiht my hand stuck out, trying to stop the objects without touching them. And it worked some of the time. Another cool thing is that females (who not only live longer) have a better control over sixth sense. On most ghost shows, you see girls attempt to see spirits in haunted locations. Why not boys? Becasue, girls have better control and they can choose where their ability leads. it's strange becasue if a physic has a child, the child will be physic, adleast for the first year. It depends how determined and aware the child is. Dangerous, Irregular Kiki, and liltomboyblue, you're not alone. Seems to be geniuses on this site theses days. Hey, i've got this this thing on Girlsense.com. a whole line Of Kiki Strike appare. Look up irregularpuppy and check it out. Sometimes, I have these dreams that are just flashes of things that I can hardly remember when I wake up, but then a few days later I'll see it (whatever I've already psychicly seen) and get the serious chills. Scary, huh? Annaka where are you going? I live in NC! Hey! you can go to the lemur center if you get bored in NC. by kirsten, i will miss you and your posts all the days i am stuck at home plotting. I got a new pick! And yes, that's me. Oh my God I'm gunna have nightmares about that bunny for a month! That was terrifying! I don't think that our 6th sense is supernatural, although I do beleive it exists. I think that the 6th sense is the ability to subconsciously sense patterns in life, thus predicting what will happen. And for the whole women have a stronger 6th sense thing, it's possible. Maybe girls are just better at predicting the patterns, or they pay more attention to that kind of stuff. But that happens to me too. So who knows. You're coming to my neck of the woods, right when I was leaving. hmm, speaking of leaving, everytime i visit texas, a natural disaster strikes. I actually slept through a tornado that went around my relatives house...in a circle. completely avoiding us. The last time was a hurricane, and this time its wildfires. luckily, we have some weird kind of natural-disaster-repelling luck.